It’s really, really hard to taste cake over the internet, so we decided to help you out by making this super handy flavor chart, so you can visually see how all of our cakes and buttercreams stack up in terms of both texture and sweetness! 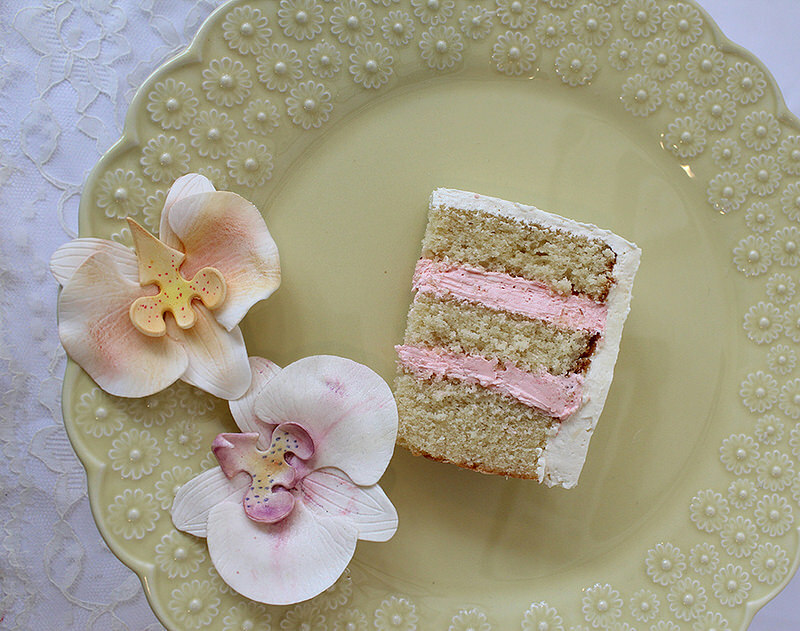 You can customize the inside of your cake just as much as the outside with our mix-and-match flavor chart. The top of our handy dandy chart lists all the flavors of cake we can bake. The flavors listed in peach colored circles can be done in either custom cakes or cupcakes. The ones in green circles are cupcakes only because they come with specific buttercream toppings and fillings that aren’t possible in larger custom cakes. 2. choose your flavor of buttercream filling. 3. choose your outside covering, either Italian meringue buttercream or our marshmallow fondant. For most tiered and sculpted cakes, each serving has 3 layers of cake, 2 layers of buttercream filling, an outer buttercream crumb coat, and a thin layer of our hand made marshmallow fondant. 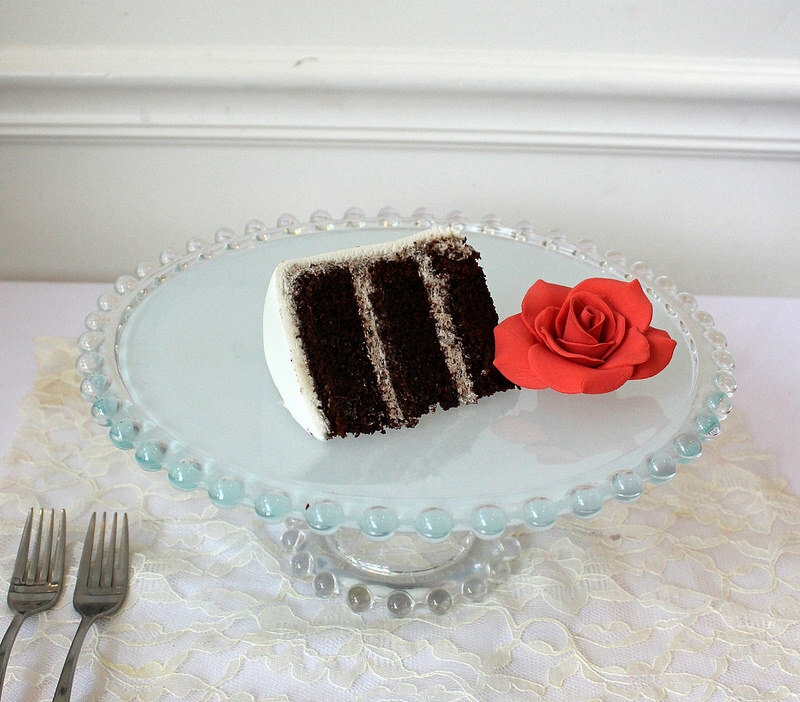 Check out the photos below to see how the cake looks plated! The mixing and matching possibilities are endless so if you’re feeling overwhelmed just let us know your flavor preferences and we’ll be happy to recommend some good combinations. Planning a large event? Contact us to schedule a tasting/design consultation where we can help you narrow down the flavor options until we get the one that’s perfect for your event.